The Office is one of the best shows on network TV. It’s clever, witty and very funny. But according to the Nielson ratings, The Office was a dud. The ratings were so bad that NBC almost cancelled it before the end of its first season. But since NBC owns and produces The Office, they had nothing to lose by posting it in the iTunes Store. At the very least, NBC thought they might make a little money on iTunes before canceling the show. 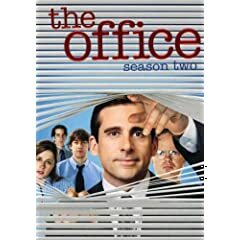 But once episodes of The Office were available online, they became an iTunes overnight best seller. The Office had a huge fan base and the low Neilson ratings were basically just a lie. Why is COPS still on the air and getting good ratings 10+ years later? Why were shows like Family Guy and Futurama cancelled for low ratings, only to be renewed after doing well on the Cartoon Network and DVD. Why is wrestling now on the SciFi Channel? Why did Fox cancel Firefly before the end of its first season? The show went on to be a best seller on iTunes as well as on DVD. It was also made into a major motion picture called Serenity. The answer to all these questions: only dumb people have Nielson boxes and the networks don’t have enough guts to ignore Nielson’s lies. Also, ponder this little tidbit. Until recently, the Nielson boxes were NOT compatible with home TV systems that had a TiVo, satellite dish or digital cable box. That’s a lot of people Nielson just decided to conveniently ignore. If you are also a fan of The Office, just remember that the iTunes Store is responsible for keeping the show alive. Fans of the show voted with their wallets while dumb Nielson households were busy watching COPS reruns. Again.